Hi everyone. 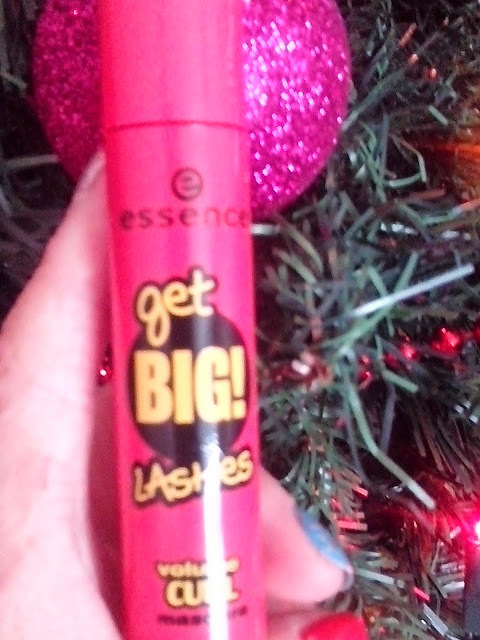 Today I am going to do a first impression on the Essence Get Big Lashes mascara. I got it about two weeks ago and forgot about it. This is the description on the back of the tube: curl effect, for maximum volume and extremely thick lashes. When I opened this mascara it has a curves wand with fiber like bristles. I noticed that a lot of product came out on the brush and I had to wipe the excess away. Which turned out to be a messy job. 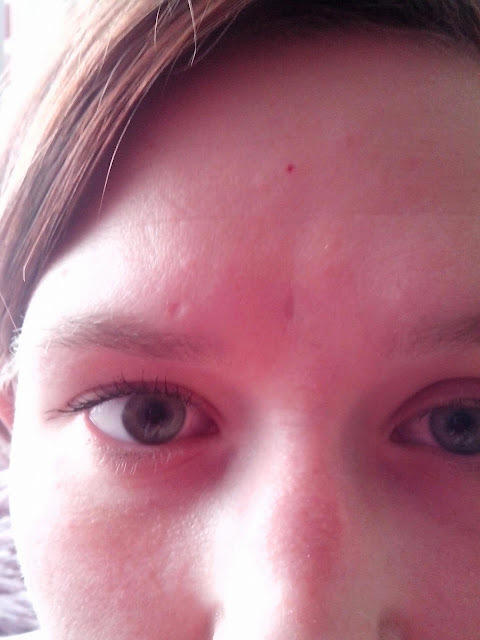 My first coat of mascara was quite impressive I liked the way it separated every lash and it also gave me great length. Not much of a curl or volume though. To get more volume I applies a second coat and ended up with some spider legs, which I don't like to have. • The color of the tube. As you can see I have more likes then dislikes. It was under €3 and that is always a good bonus for me anyway. Thank you everyone for reading my posts it means a lot to me. Good morning guys. 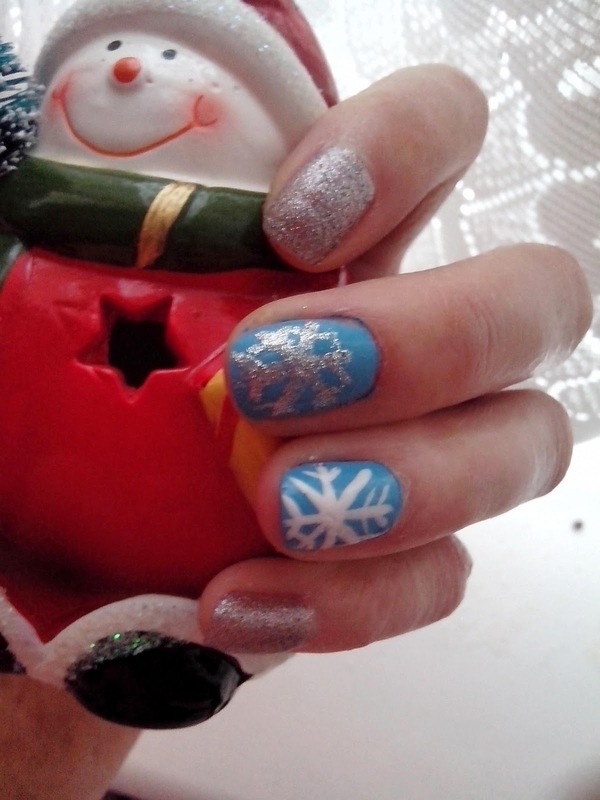 This is my first attempt at any sort of Christmas Nail art. I have watched so many Christmas nail art tutorials on YouTube and I really wanted to do one myself. I wanted to do something easy so that it doesn't take me all night to do. I like the way it turned out for the first try. What do you guys think? Hi everyone. It has been so long since I did a nails of the day. To be honest I didn't purchase any new polishes until a few days ago. I wanted to pick up a true Christmas red polish because I had a nail art in mind to do for the holidays. 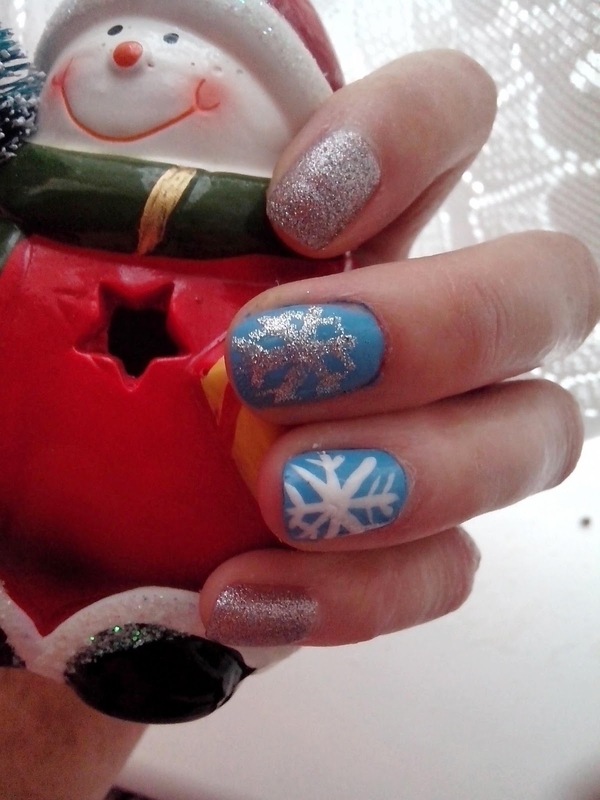 It was a Santa one that I seen Cute Polish do on her channel. 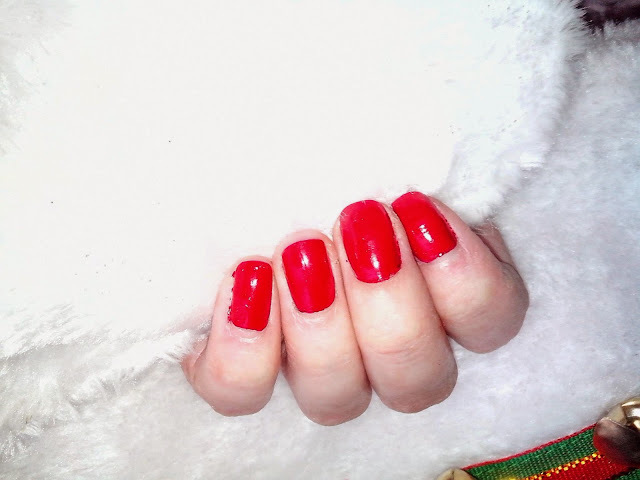 This Essence polish is called Fame Fatal. Its a deep rich red. 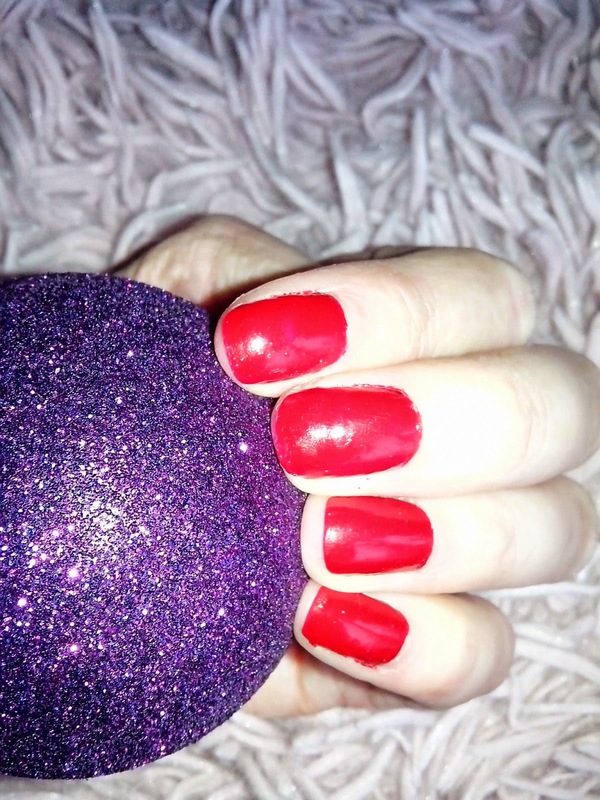 What I think is a true Christmas red should be like. It's very opaque in one coat. Here I have done two. I noticed that the shade of red is a little lighter with one coat them with two. Its dries glossy. Drying time is about 6 to 7 minutes. 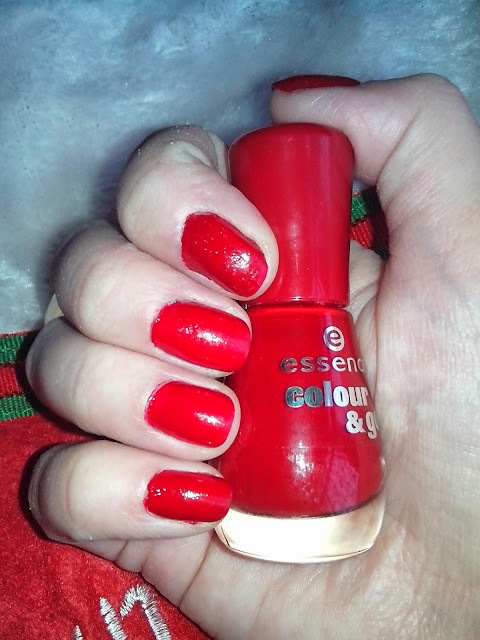 I really like this shade for €1.79 you can't go wrong. Thank you everyone who reads my blog. Its been a bumpy year for me and I hope next year will bring me more luck. LIfe Update: Where I have been for the past few months. Good day my fellow bloggers. I know I have been away since September but I just needed this break. So much has been happening and I couldn't find the time to sit down and blog it all. It has been such an overwhelming couple of months. Let me start from the start. Sep: The week after Rhys' birthday, he started play group. It was such an emotional time for me because I didn't know how he would get on. Would he like it there, would he behave as he used to have his moments at home that were not gracefull. The fist week he loved it and didn't cry once, then the seond week he reaslised that I would be leaving him for a few hours and started to cry every morning. I didn't know what to think. One morning he was holding so tight that my neck was hurning. I got so upset and was going to take him home again, because the way I looked at it was that he didn't like it there. The teacher told me that once I am gone within a few minutes he is grand and running around and playing with the other kids. I had to see for myself, so when Rhys let go of me and I had left the room, I kept on eye on him through a window and as the teacher has said he was grand in a few minutes. Then I knew that he was doing it so that he would be taken home and he would have got what he wanted. It was defenatly a test for me and I think I have won this round. Now he goes every moring and there isn't a word out of him. He loves it and has made some friends. That puts a peace of mind for me as now I can do things in the morning with out worring what is Rhys doing in the next room. 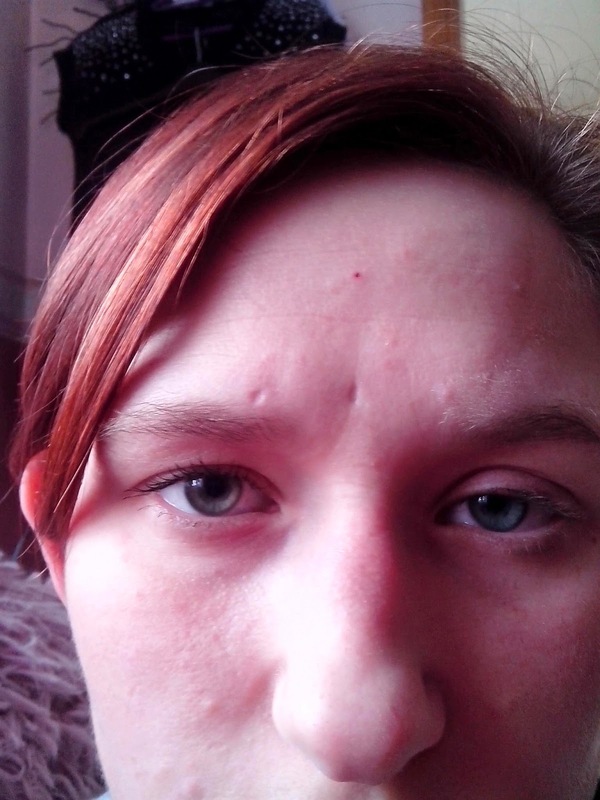 Nov: I came across this post on Google+ where this girl had made money of this site by just writing short articles, me being me I went to inverstigate and that is how I came across Bubblews. If you don't know what Bubblews is. It is a social network where one writes aritcles min of 140 charactors per article. In return you get paid for every view, like and comment that your article gets. That got me interested so iI looked into it and started writing. Since then the rules have changed alot and that is mostly because they are some people that plagiarise others work. It has not happened to me but I know others who's articles were taken. You still get paid for your likes, views (which are not showing any more) and comments, but it depend on where you like and also to do with advertisers. I am not to such how it all works, but what I do know is that it got harder to ear money from it, from when I started writing and that wasn't such a long time ago. There are people on Bubblews a long time and they have made a huge amount of money from it. That is when it was possible to do it. Dec: Now its already December time to get ready for Santa Clause. We still have done nothing in line of decorating the house. It is possible that we may be moving in this month or the next. For now we are going to try to enjoy Christmas as much as we can. I have missed blogging so much and I won't be taken breaks this long again.